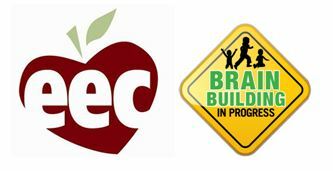 In December 2011, Massachusetts was selected as one of nine states awarded a U.S. Department of Education Race to the Top – Early Learning Challenge (RTT-ELC) grant. The grant enabled Massachusetts to fund several initiatives, including this exploration of viable pathways for early educators who are English Language Learners to improve their knowledge and competency. The CAYL Institute was contracted by the Massachusetts Department of Early Education and Care (EEC) to develop a roadmap for English Language Learners (ELLs). The roadmap is intended to inform EEC, institutions of higher education, and community-based agencies about how to better support multi-lingual educators as they navigate entry to higher education institutions, matriculation, and degree attainment. As a grantee, The CAYL Institute produced a report titled Opening Pathways: Strengthening Opportunities for Massachusetts Educators Who Are English Language learners , drawing broadly from the literature on workforce development, early childhood education and care, adult learners and ELLs in higher education, and postsecondary access and persistence among nontraditional students. To supplement the literature review, a series of six focus groups in three different Massachusetts regions (Central, Northeast, and Metro Boston), and a series of three webinars were held across the Commonwealth. Participants included representatives from institutions of higher education (IHEs), early childhood education practitioners, and community-based organizations engaged in early childhood education workforce development. CAYL also held two Higher Education Leadership Institutes—one in Greater Boston and one in central Massachusetts—to bring together key stakeholders in higher education and state policymakers to discuss the challenges and opportunities in moving early educators who are ELLs through postsecondary education.